Best of the week: all the news and reviews 14.12.13 | What Hi-Fi? 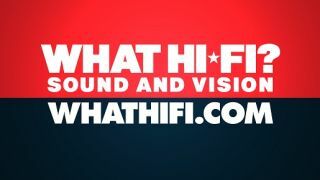 This week on whathifi.com we've covered launches of several new products with the launch of BBC's HD channels top of the pile. Also revealed this week: AudioQuest's update of its Award-winning DragonFly DAC, as well as Spotify grabbing the spotlight by launching a free mobile app. Reviews include the LG G Pad, Cabasse Eole 3 surround system and the Panasonic SC-PMX9DB micro-system all tested and reviewed. And the last issue of the year has hit the newstands with the January issue of What Hi-Fi? Sound and Vision now on sale in newsagents and online. A bit earlier than expected, the BBC has expanded its HD line-up by adding five extra channels. BBC 3 HD and CBBC HD were due to go live around this time, but in a rather charitable decision (it is Christmas after all), the Beeb has also launched CBeebies HD, BBC Four HD and BBC News HD. The channels can be located through iPlayer and accessed through a variety of other sources too, including: Freeview HD, Freesat HD, Sky HD, YouView, and Virgin Media set-top boxes. A nice, and early, Christmas present from the BBC. After winning the Product of the Year category at the What Hi-Fi? Awards in 2012, the DragonFly DAC fell foul of some increased competition as the DAC market intensified. Well, it looks like AudioQuest isn't resting on its laurels. The DragonFly v. 1.2 USB DAC costs £129 and looks identical to the original. AudioQuest claims to have refined the circuitry between the DAC chip and the analogue output stage for better performance. It's been with dealers since November 12th so should be easy to find. Look for our full review in the coming weeks. Spotify has confirmed the launch of a free ad-supported Spotify app for Android and iOS devices, giving users access to the music streaming app for free. Initially the app had only been available as part of the Spotify Premium package which costs £9.99 per month. The LG G Pad was billed as something of an iPad/Nexus botherer. In truth, reality makes it out to be something slightly less. Knocking those two off the top of the tablet pedestal would have been a grand statement, and despite good first impressions, the G Pad doesn't quite measure up to its illustrous rivals. But a four-star review means it could be for you, not least if you can find it in the Christmas sales. There's a lot to like about the Cabasse Eole 3 system despite it's fiddly set-up. Performance-wise it works very well, complementing the action on screen and generally delivering a composed performance when it's dealing with music. While it didn't manage to overcome the Denon D-M39DAB in our recent micro systems test, it did put up a valiant performance. Offering a more comprehensive set of features than the Denon, it certainly bests it in a few areas, but it's laid back sound let the side down.